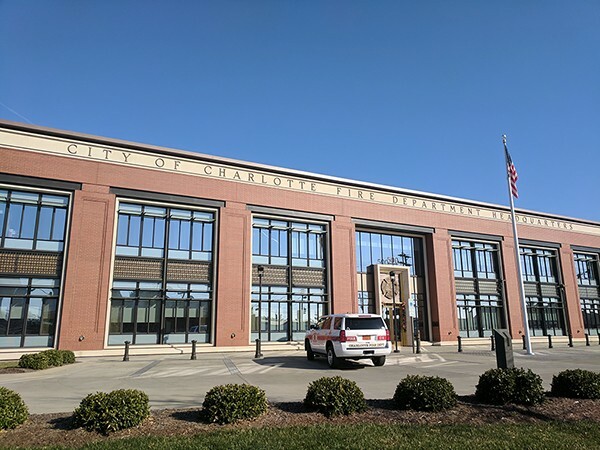 Walking through the newly constructed, technologically advanced Charlotte Fire Department headquarters just north of Uptown, one would hardly notice that it's a department in transition — one might even say a department at a defining point in its storied history. The department is coming off a most turbulent year, during which high-ranking officials faced accusations of discrimination and the department found itself at the wrong end of a $1.5 million wrongful termination settlement. Both incidents led, in part, to the resignation of former chief Jon Hannon, who had been with the department 38 years and served as chief for 10. Now, current CFD Chief Pete Key says the department will spend 2018 being more proactive than ever to encourage more diversity in recruiting, while improving communication among a department that has reportedly suffered from remarkably low morale. 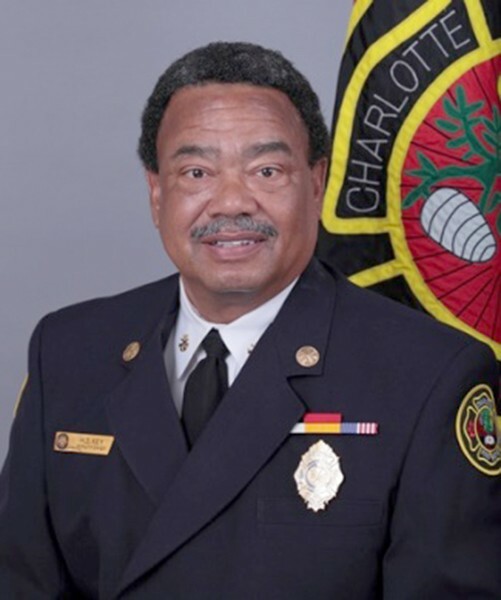 According to Key, who was named as the city's first African American chief in August following Hannon's retirement, those efforts include community outreach aimed to encourage more women and minority recruits to pursue a career in firefighting. "What we're trying to do today is consistently stay where we need to stay to parallel the demographics of the city of Charlotte in regards to diversity," Key says. Considering where the department stands now, that's going to take some work. According to 2017 CFD data, 78 percent of the department's employees are white males. African American males make up 12 percent, white females make up 6 percent and other demographics make up 2 percent or below. Those percentages account for all active employees in the department — including logistics, communications and others. By comparison, Charlotte — with a population of around 842,000 people — is made up of about 42 percent white people, less than half of those being men, according to 2016 U.S. Census data. The city is 35 percent black and 14 percent Hispanic. All other races make up less than 7 percent. Though Key isn't pleased with the fire department's diversity statistics, he is optimistic about what if can achieve moving forward, he says. The CFD headquarters, recently built on North Graham Street. Key points out that, although he'd like to see the department's diversity numbers "parallel" the city's demographics, that doesn't mean the CFD will want to limit its Latinx recruits to just 14 percent, or anything of that nature. "Really, I don't like to use numbers, I'm just wanting to bring the numbers up," he says. For Captain Dennis Gist, diversity can be a matter of public safety when it comes to trust in the community, or even just the ability to speak the same language while out on a call in a hectic situation. It also allows community members to see doors open up for their own future. "When people and younger kids see reflections of their race, gender or economic status in public servants, they feel as though they're represented and it gives them the confidence that they, too, can do the job," Gist says. So how does the department go about getting to that point? Key says CFD will continue its relationships with the city through schools, churches and community events. The department has worked with area colleges like Johnson C. Smith University and done outreach during CIAA events, but it has also kept a presence in elementary schools advocating fire safety while reminding kids to stay out of trouble if they ever want to join the department. Key says CFD is looking for "stellar" candidates who don't have blemishes on their record. Finding those candidates requires years-long dedication and outreach. CFD offers three programs for kids in school: one for males, one for females and one high school internship. By engaging with young adults through these programs, Key believes the department is growing its own recruits. Camp Ignite, for example, invites young girls to camp out at the CFD Fire Training Academy for a week, going through hands-on training that includes search-and-rescue techniques, rappelling, ladders and more. The camp is free, which increases accessibility and hopefully helps inspire young girls of all demographics to pursue a career in firefighting. Looking back, the CFD has a compelling history that parallels its home in the New South. It was organized in 1875 under four distinct fire companies, two of which were established by Charlotte's African American community. "Slave owners during these times were requested to allow their slaves to participate in firefighting activities prior to the 1875 formation of the CFD," reads a historical article on the city's website. In 142 years, CFD has grown from serving 1,000 people in 1.68 square miles to serving more than 840,000 in 305 square miles. Key joined the department in 1977, just 10 years after the first African American firefighter, Hazel E. Erwin, was hired. Key graduated the academy with the most diverse class the department had ever seen at the time, standing alongside 25 other African American males. He started on the back of a fire truck, then worked his way through the ranks until he was voted interim chief this year. Then and today, Key says he doesn't look at firefighting as just any job. "It's a career, it's a vocation, it's calling," he says. Key says he believes the CFD is the best department in the South, but over the last year its reputation has taken a beating. In May, the city paid former CFD fire investigator Crystal Eschert $1.5 million after a jury agreed she was fired for raising safety questions about the construction of the building on North Graham Street where she would be working. The city's defense claimed that Eschert was fired for a 2014 Facebook post in which she implied that the victims of police shootings are "thug[s] and worthless to society." Then, in June, WSOC released a scathing report after receiving letters from minority and female employees alleging they were being purposefully held back from potential promotion within the department. In the letters, employees claimed the department "operated under a system of nepotism" and that then-Chief Jon Hannan had "set progress and diversity back 30 years," WSOC reported. According to the WSOC report, of 565 candidates for captain promotions within the CFD in the last six years, just 61 were women and minorities. Of those, 15 were promoted. During the first Charlotte City Council meeting following the WSOC report, Linda Lockhart, the depatment's first African American female firefighter, addressed the council about inequities within the CFD. Lockhart had come out of retirement to join the department as a storekeeper. She pointed out that a white male who had just started in her same position was making her same salary, despite the fact she had been doing that job for seven years. "I want you to know that they are going to fire me or harass me," Lockhart told council members, implying that she would face consequences for going public. In August, Hannan retired following these controversies as well as reports of low morale in the department. Despite the rough year, Key says he doesn't believe the department's reputation was tarnished. He says morale will improve, and he believes it already has. "Morale is like a roller coaster, it's up and down." Key says. "Listening to motivate is the best thing you can do in regard to morale, then keeping the lines of communication wide open ... making sure you're talking back to people. So we've got to have effective communication." On December 4, the department held its yearly written test portion of its application process. Key says he was pleased with the diverse turnout, although numbers regarding the potential incoming class were not available. Key believes the fire department is on the right track to getting where it needs to be but it is constant work. As with much work being done at the department, however, this work is of particular importance, Key says. "Most of all it's the right thing to do," he says of working to diversify the CFD. "In this day and time, we've got to have an inclusive environment. We've got to show people that we care. We're in houses all over the city. I mean all socioeconomics — rich side, poor side. Everyone has challenges, but every one of us, we're the same. In spite of all of our differences, we are all the same." For the coming year, though, Key will continue pushing the importance of community outreach and communicating with the firefighters he's already got. Because as he's learned over the last year, sometimes all the fire safety knowledge in the world can't keep you out of hot water.